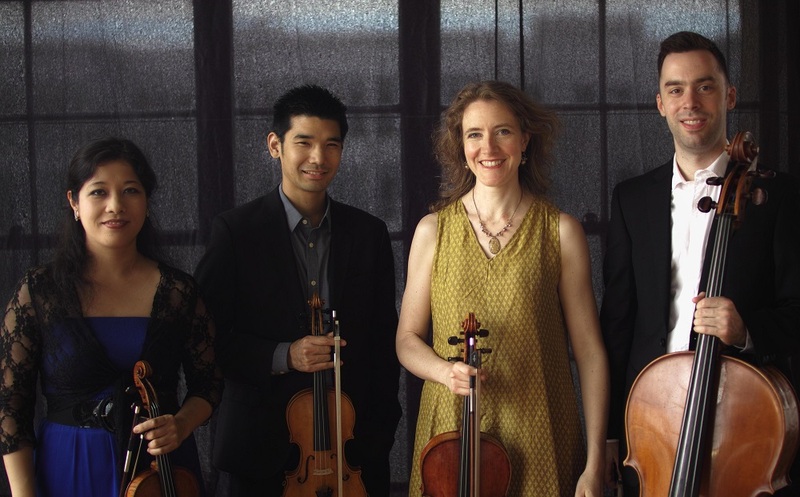 Violinist Emilie Anne Gendron of the Momenta Quartet shares some thoughts about the composer’s String Quartet No. 2 as the group prepares the work for its October 17 concert at the Americas Society (New York City). Programmed as part of the ensemble’s “Momenta Festival IV,” Sierra’s 14-minute quartet was originally commissioned by Symphony Space (New York City) for La Catrina Quartet who premiered the work in May 2011. Gendron continues. 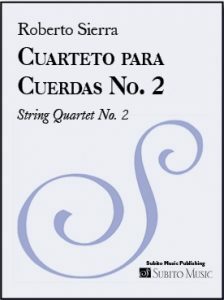 “Sierra’s String Quartet No. 2 is becoming a standard in Momenta’s unique list of repertoire. We recently had the chance to work on it with him and perform it at Cornell University, and plans for future performances are already underway. Sierra infuses this work with vibrant Caribbean dance rhythms and coloristic instrumental effects that inspire the imagination for both the audience and performers…we are delighted to be able to bring this piece to our NYC audience on October 17.” After the concert, the Momenta Quartet takes Sierra’s work on the road to Bolivia for a performance on the 24th presented by the Instituto Eduardo Laredo. More October news: October 5 brought the Sigma Project’s premiere of Sierra’s Graffiti (for saxophone ensemble) at the International New Music Forum in Mexico City; and, the ensemble Trio Arbós performed Piano Trio No. 2 at the Festival de Música Contemporánea Cristóbal Halffter in Spain. Upcoming: In November, the Puerto Rico Symphony performs the composer’s Sinfonía No. 5 “Rio Grande de Loíza” (for chorus and orchestra) conducted by Maximiano Valdés, and New Juilliard Ensemble music director Joel Sachs leads a performance of Octeto en Cuartro Tiempos.